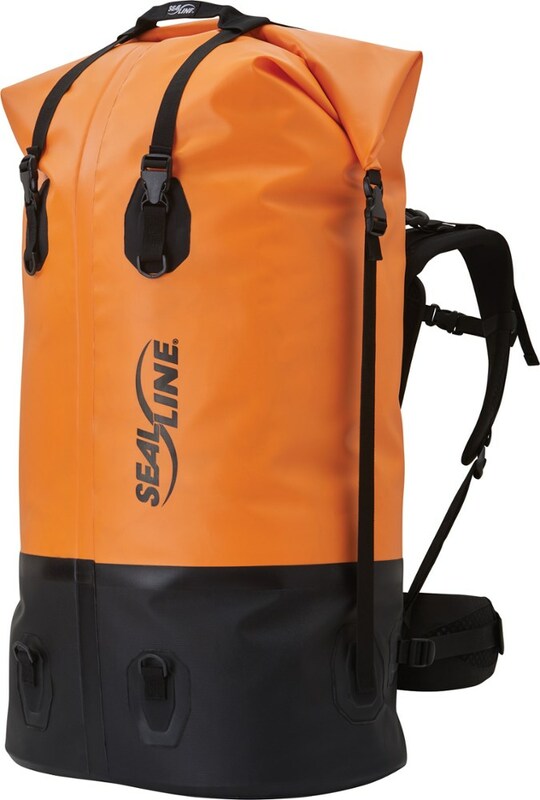 This is a very reasonably priced, very large, pack-style dry bag that we have used for the past two years while canoe camping. 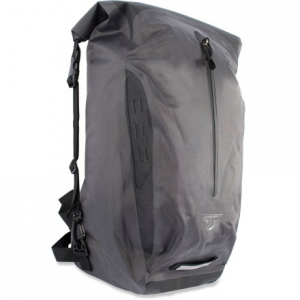 It has held up very well, has a nice large capacity, and protects the contents. We anticipate we will get quite a few more years of use from this bag. 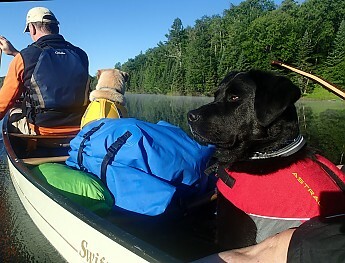 So, here in December, I am writing a review for a product we purchased for canoe camping...and generally put away for the season in October. 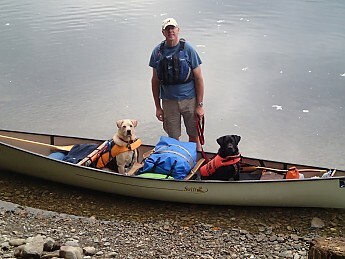 No, we're not canoe camping now (though the spate of warm weather makes it tempting!). However, I actually just packed the bag for a winter camping trip. Not a backpacking trip, but a remote cabin trip which requires us to haul our gear about .2 mile through the woods. 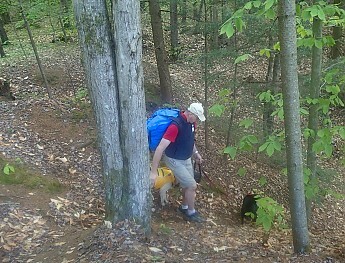 In fact, very similar to portages/carries to campsites we do in the summer. This bag is HUGE! 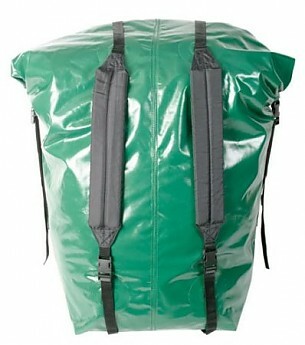 (140 l capacity). We can put 4 sleeping bags, 2 sleeping pads, 2 camp pillows, a tarp, fleece sleeves for pads, and even some outerwear in the bag. 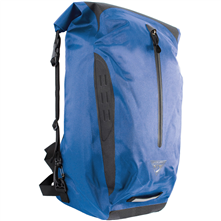 The top has a velcro closure, and a large roll closure flap, secured by easily adjustable straps (down the back, and along the sides). It stands about 3 feet high when fully loaded, as an indicator of the capacity. It fits nicely in the center compartment of our tandem canoe, and I have also used it in my solo boat for solo camping. 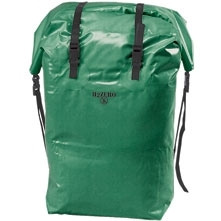 It is not fancy—the vinyl material is a bit heavy, but it has kept our gear dry for many trips, and now, also as we trek through snowy or rainy woods. It certainly is not designed for submersion, but thankfully, we have yet to put it to that test! 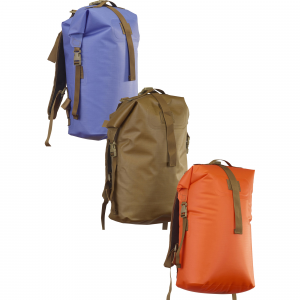 The shoulder straps are padded and comfortable, and make it easy to carry. We have seen no signs of wear or separation at the attachment points, but we did note that the lower back straps are stitched only with a few lines of stitching, so we are careful when we swing the pack up onto our back (trying to keep equal stress on the two straps). 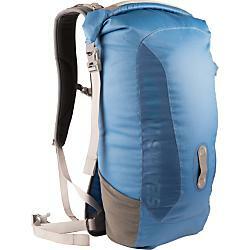 I think the price is very reasonable, and we have put this bag to a good test during our frequent trips. I certainly would recommend this bag. Nice review of a useful piece of gear, Sheila. Thanks for sharing it. 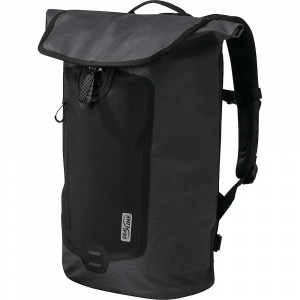 The Seattle Sports Omni Dry Backpack is not available from the stores we monitor. It was last seen June 1, 2018	at SunnySports.